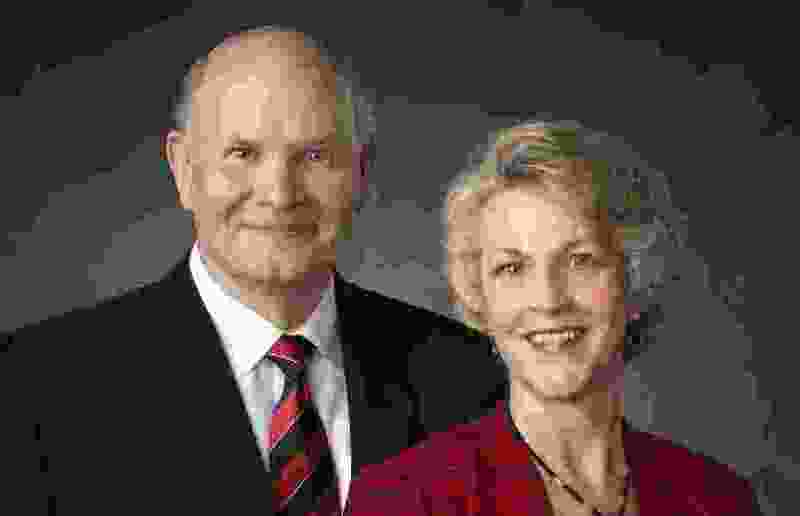 (Photo courtesy of The Church of Jesus Christ of Latter-day Saints) Apostle Dale G. Renlund and his wife, Ruth Lybbert Renlund. This week, apostle Dale G. Renlund and his wife, Ruth, led a devotional for young adults at Brigham Young University-Hawaii. The topic was doubt, which is an important and timely issue in Mormonism. I was raised to try to find something good to say first, so here goes: I appreciate that this devotional acknowledges that leaving The Church of Jesus Christ of Latter-day Saints is rarely about just one thing. Rather, it’s often catalyzed by a complex mixture of intellectual, social and spiritual issues. Rather than being grateful for this lifesaving measure, the young guy immediately begins to complain; the water he’s been given isn’t Evian or Perrier, and the boat is in poor condition. He’s not convinced it is seaworthy. He devolves into a full-on toddleresque meltdown 12 miles from shore, insisting that he be let off. The saddened fisherman obliges, leaving the guy again in the middle of the ocean — and this time there is the ominous specter of a circling shark. Ruth Renlund asks whether “dents and peeling paint” on the church diminish its ability to provide authorized saving ordinances that help people become like Heavenly Father. The answer is no, and here I completely agree with her. It’s refreshing to hear an acknowledgment, however implicit, that the church isn’t perfect. Too many times in the past, complaints have been dismissed with the adage that the church is perfect but its people aren’t. Dale Renlund tells a story of a young man he knew called Stephen, a returned missionary who married in the temple and served in the church for many years. Stephen began having trouble with multiple accounts of Mormon founder Joseph Smith’s “First Vision,” so he was put in touch with a scholar who helped him to resolve that issue. But by then Stephen was concerned about something else: polygamy. Next it was race and the priesthood. And on and on. Did you catch that verb phrasing? Stephen let in doubt. He opened the door and welcomed it. In doing so he destroyed his own faith. This rhetoric has the effect of reassuring people who have never experienced doubt that they’re on the covenant path — while blaming those who do have doubts. The devotional conjures a palpable lack of compassion for Stephen and others, who are portrayed as secretly wanting to lose their faith. But I’ve never seen a case in which a doubter successfully returned to the church through shaming tactics such as these. Not once. Doubt is not a path that people embark upon because they’re selfish, lazy or somehow perverse — all of which are reasons hinted at here. Rather, doubt occurs because it’s a natural part of faith formation. (See James Fowler for more on this.) Despite the devotional’s childish cartoon about staying in the boat without question, we are not called to be spiritual children. Nor are we called to avoid doubt at all costs. Doubt is one of the stages of adult faith. Some people never arrive at that stage, and some people arrive but never leave; the healthiest and most mature are able to integrate doubt as a teacher in their ongoing faith formation. And maybe instead of simply asserting and reasserting that doubters need to stay in the boat, we should recognize that not everyone’s “covenant path” is going to look exactly the same. Sometimes you have to leave the boat for a spell to learn to walk on water.